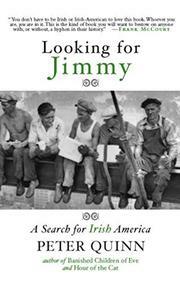 Uneven collection of essays, articles, reviews and speeches on the history and identity of the Irish in America. Speechwriter turned historical novelist Quinn (Hour of the Cat, 2005, etc.) offers much here to delight, annoy and perhaps even offend. Almost every piece demonstrates his substantial knowledge of history and his wide reading. He’s particularly well informed about the potato famine, whose spectral presence haunts the text. (In two places, the author notes some similarities to the Holocaust.) Many died in Ireland; many more immigrated to the United States, where, as the author observes, they were not greeted with joy. In one of his strongest essays, “Closets Full of Bones,” Quinn notes the similarity of the brutal hostility and discrimination the Irish faced to today’s hysterical reactions to new waves of immigrants. The reason our politicians, public and media pundits are so exercised is simple, he writes: “They don’t know history.” Another fine piece, “The Bronx Is Burning,” blends the author’s personal experiences as a court officer in the Bronx’s Landlord and Tenant Court with some insightful comments about immigration, poverty and hopelessness. Graceful writing and a seamless blending of historical and personal material distinguish the book throughout, though some of the early entries land in unsurprising, even sentimental places. “Faith and Imagination,” a section containing five meditations on the Irish and the Roman Catholic church, may annoy Protestants and non-Christians: Quinn is a proud Catholic and expresses not the slightest doubt about the divinity of Jesus or the existence of hell. Well written and researched, showcasing the author’s pride in his Irish Catholic heritage.